It’s so easy to get caught up in the stress and busyness of the holiday season, and forget what it’s all about. Christmas is still my favorite holiday, and I think we all need to be sure to take a moment to remember that it’s about giving, sharing, caring, and believing. It’s a time to give to others, and to share happy greetings. Gifts don’t have to be physical, but can be the gift of helping others, or of sharing a heartwarming story, a laugh, or a smile. I’m seeing so much generosity and the spirit of Christmas around me, that I wanted to share just a couple of things that especially touched me this year. Our friends Caren, Cody, and Dakota, from Cat Chat with Caren and Cody and Dakota’s Den have been very busy this holiday season helping shelter animals. In a post this last weekend, they shared ways they and other bloggers have been helping, and ways that you can help if you care to. I wanted to share one special drive here as well. The Santa Paws Drive was created over 5 years ago as an online effort to collect toys and treats for pets and shelters. They have raised over $55,000 in toys, treats, and donations for over 30 shelters worldwide in that time. You can read more about them by clicking on their name above or use the widget below to be taken directly to their donation page, where there are many options for helping, big and small. There are so many blogs doing wonderful giveaways for the holiday season this year! We have been enjoying being co-hosts of the #Advent4Dogs giveaways, along with Kol’s Notes, Dogthusiast, Heart Like a Dog, and NEPA Pets. We hope you’ve been entering the 24 days of giveaways. If you haven’t been entering, what are you waiting for? Every time you enter, you have a chance to win that day’s prize as well as every prize from all 24 days (that’s over $1000 in prizes!) Today’s prize is $25 worth of treats from Jones Natural Chews. We are hosting today’s trivia question as well. Visit Kol’s Notes to enter the answer as part of today’s giveaway! Who doesn’t love to read a happy story at the holidays, especially about pets? Our friend Jen at Dogthusiast put together a blog hop for sharing adoption stories, for the #JoyfulMoments movement – an internet event celebrating the joy we share with our pets. We shared stories of our adoptions of our first dog Shelby and of Luke who came home with us just before Christmas last year. It was in looking for Shelby’s story that I was inspired to re-share a blog post I wrote two years ago about Shelby and how I first fell in love with dogs. I’m including the blog hop linky list here so you can also read and enjoy all of these stories. You might want to have a box of tissues close by, just in case. You can also join in the hop or share your own stories in other ways as well. 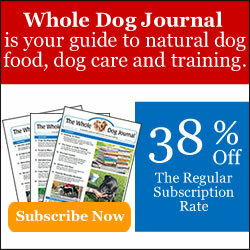 Visit Dogthusiast here to find out how. Wow that is a great organization. It’s very exciting that they surpassed their goal! It is so easy to get busy and forget to do something nice for others. Thanks, Dolly! We love seeing all the good things going on too! It’s very heartwarming to see all the good, especially in the world we live in today, with so many bad things. Glad to see Sheba taking care of Luke like that. Thanks for the summary of all the events…sure is a lot going on! Sheba is such a good sister! It’s such a busy time of year, isn’t it? We donated to the Santa Paws Drive and we also sent food to a private rescue that really could use it. We love this time of year and helping others not as fortunate as us. Those are wonderful things you did! They are close to reaching their goal on the Santa Paws Drive, which is awesome! It sure is busy in Blogville. I can barely keep my paws on all the stuff happening. I guess in just over a week, it will turn into dullsville, so we will enjoy the excitement while we can. Poor Luke, a guy like him needs to race and chase, and he can’t. So unfair. I know, there’s so much going on, and then when it’s all over it will be so anti-climatic! Thanks for all the great ways to keep the meaning in this lovely holiday. Loved the picture of Sheba and Luke. I think dogs recognize when they need to gentle. I’ve seen Honey do it with injured foster dogs or tiny puppies. She changes her play style to compensate. I do think dogs sometimes sense these things…though Sheba does still get rambunctious with Luke sometimes. But Luke most of the time isn’t trying to slow down, and I think she knows that when it’s the case too! Hi Jan. I love the spirit of sharing photo with Sheba and Luke as well as the reminder to do what we can to help those in need this holiday season. Nice post! Look at them playing so nicely!! Maybe Santa is keeping an eye on them for you! 🙂 Is that West Paw toy? Yes, that’s a West Paw Hurley….one of the few toys that holds up to those two! It’s got some bite marks on it, but it’s still in one piece! Christmas is my fav season of all time too! It is wonderful to get together with family and there are really so many ways to help animals in need this time of year! I agree! I need to find some time to put together some old blankets and such for our local shelter too…I hate to think of the pets in those cold kennels this time of year. I love how you put all of these great ways to give and share together in one post. We should try to always be mindful of those in need, but especially around the holidays. Thank you! If only we could hold onto the Christmas spirit year round, right? I think in some ways we do, we just think of it differently at the holidays. Santa can be powerful to keep the “kids” in check…lol. Love the picture of Luke and Sheba. So true! These two get a long so great, I love to see it. Sheba really acts like a big puppy with Luke. Cute pic. My huskies would never share a toy. You won’t often see our beagle doing it either. She waits until these two start fighting over it, then swoops in and steals it when they drop it and aren’t paying attention! A whole lot of good going on. Love the sharing photo between Luke and Sheba. Your collar is in the mail hope you get it by Christmas. Thank you, can’t wait to see how nice it looks on Sheba!